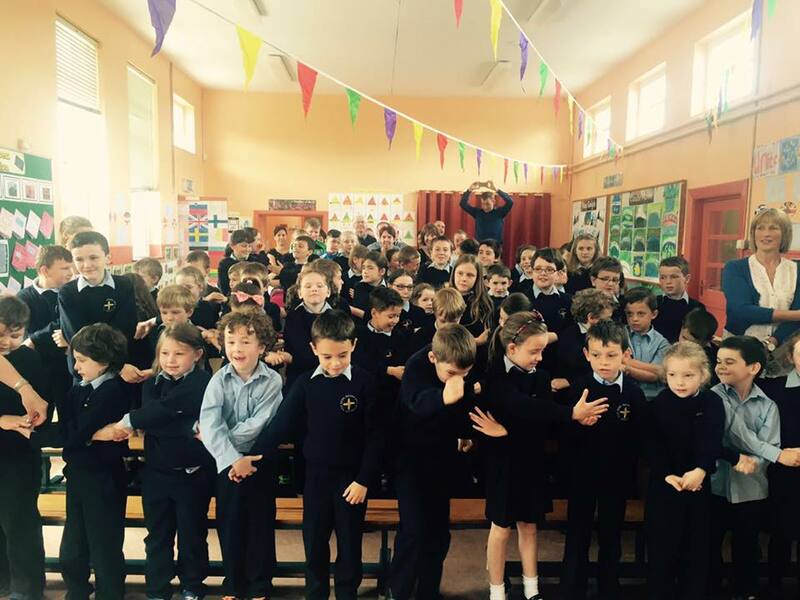 Last year, St. Brigid’s NS completed the Blue Star flagship programme. 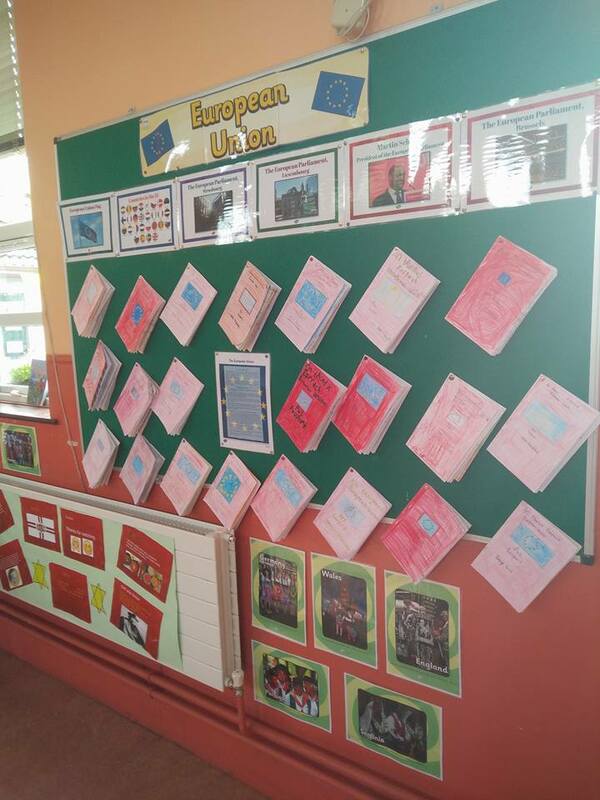 The Blue Star programme is an education initiative across Ireland to foster a better understanding of the European Union among primary school children. 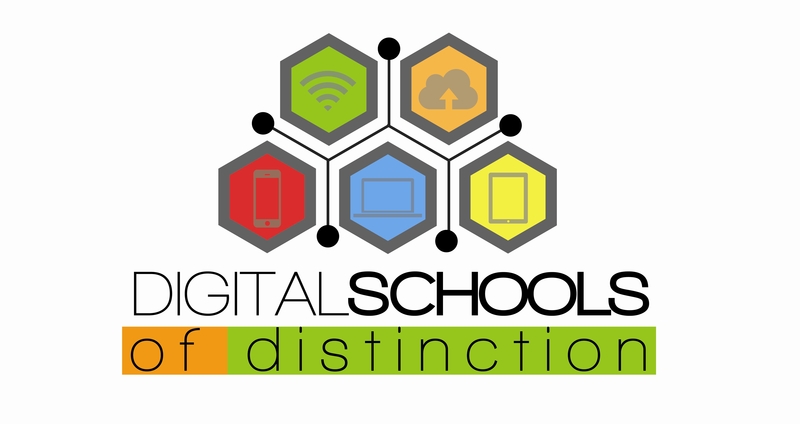 We participated in a wide variety of activities during the year for example; studying various country members of the EU and completing projects on the 28 member states, creating videos of the foundation of the EU and World War 2, creating passports to Europe, studying the works of European artists such as Monet and Van Gogh, listening to the European national anthem ‘Ode to Joy’ and engaging in the National Handshake for Europe. We also learned some French and German and even had a Euro 2016 soccer tournament in preparation for the Euros. We learned how the European Union worked, how it passed laws and what being an EU member means to us. 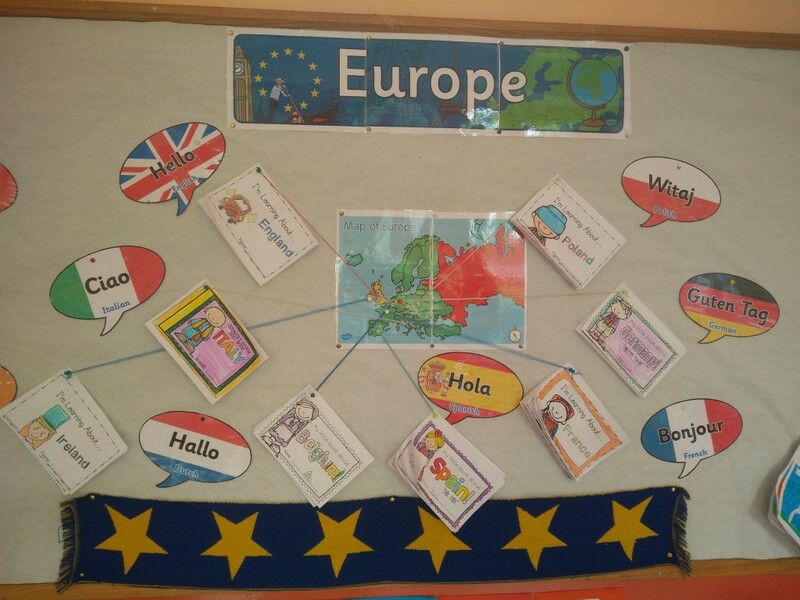 We also looked at the 11 M.E.P.s which represent us in the European parliament. 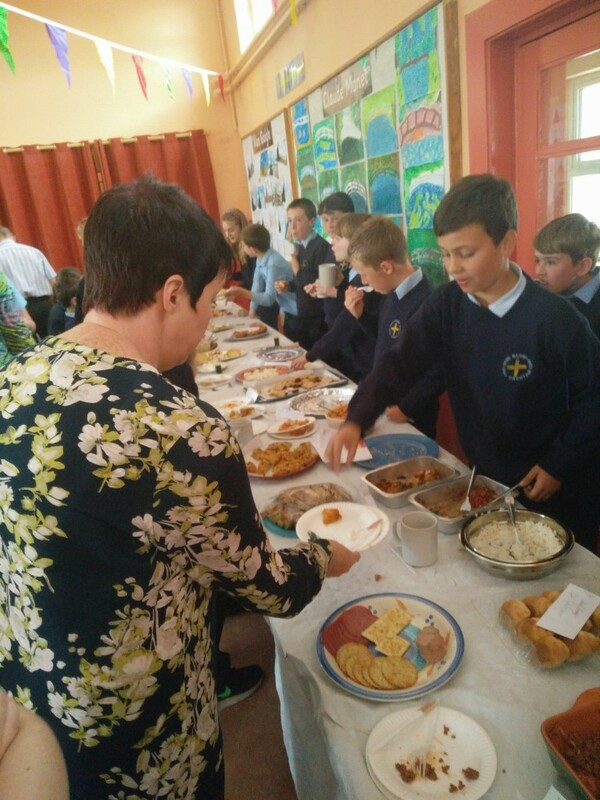 To celebrate our excellent work, we had a European Day where we displayed all of our great work, sampled some European cuisine and listened to some European music. 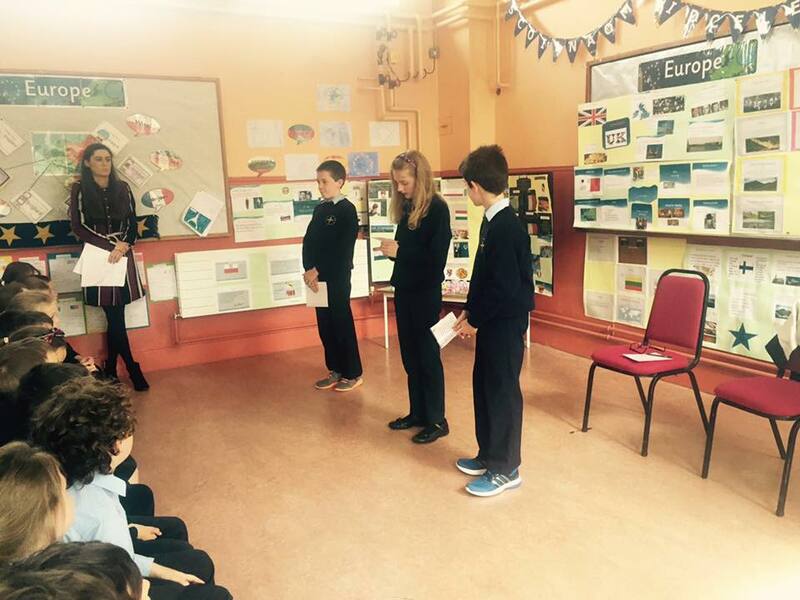 We were lucky enough to be joined by T.D Niamh Smyth to raise our new European flag on European Day.